Published on 9 January 2012. I’ve said before that Caffè Nero is my natural third place. I don’t think I’ve admitted online before that I like their tea blend so much that I once bought a whole box of teabags from them… Mmm! 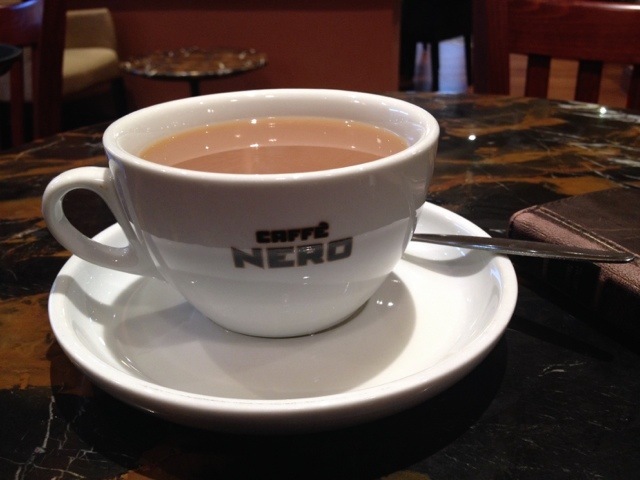 This 1,475th post was filed under: Photo-a-day 2012, Caffe Nero, Food, Tea, Third Places.